80% of dieters regain all the weight they lost within a year. *1 Pierre Dukan really wants to reduce this failure rate. His unique coaching program was created to reinforce the effectiveness of the four phase coaching method. This will be a valuable asset that assists you in reaching your goal and maintaining it long term. Losing weight by yourself with just a book. Is it possible? Armed with your high motivation and the book you will definitely lose weight, but not that easily. Maintaining your weight and not gaining it back is the biggest challenge. You may forget about the main principle of Consolidation, Stabilization and have the bad habits come right back at you. > The Dukan coaching program offers 2 phases to lose weight rapidly and 2 phases to maintain your True Weight. It can be very difficult to stay motivated when you have no external support. 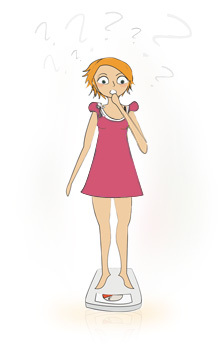 As time goes by in the diet, your body will become more resistant to weight loss, and your metabolism will slow down2. > Pierre Dukan had developed a structured and mentored method to help you reach your goal weight, even if you had a slow metabolism. A diet usually lasts from 6 to 9 months3. Without a variety of foods and recipes, you can get bored. > Dukan coaching offers more than 850 recipes, certified by the Dukan nutritionists. The more diets you follow, the harder it is to reach your goal weight and maintain it. This difficulty is accentuated by foolish, crazy diets. And this will be the vicious cycle that brings you hunger, frustration, demotivation and finally weight gain. Take your health in hand and opt for a diet that is personalized and structured thanks to a daily coaching program. The Dukan Coaching Program will help you reach a healthy weight. An efficient and durable weight-loss.79% of the registered people on the online coaching program were able to consolidate, then stabilize, their weight loss on a program of 6 to 9 months. The results of a 2011 British study show that being coached over the internet will limit the weight gain, compared to following the diet by yourself4. A complete weight and body fat loss.According to a study published into the American Journal of Health Promotion, weight loss was 78% higher and body-fat loss was 122% higher for coached dieters, compared to non-coached dieters5. The efficiency of the diet is reinforced with a team of experts.56% of dieters that followed a professional coach lose more weight than dieters that followed a friend or physical trainer6. Our team consists of dieticians and nutrition experts. Dukan coaching will give you the keys to lose weight efficiently. The results of a French study ”IFOP 2011” show that being coached online increases success by 77%, closely followed by the 100 unlimited allowed foods(63%) and the 4 phases method(%56)7. Dukan coaching was created to give you the keys to success. If you already attempted to follow the diet on your own, but did not reach or maintain your True Weight, you are at a greater risk to fail again. Therefore, online coaching is definitely for you. Weight loss is a serious decision. Please consult your doctor before beginning any weight loss program. 5Tucker, Larry A., Cook, Amy J., Nokes, Neil R, Adams, Troy B. (2008) Telephone-Based Diet and Exercise Coaching and A Weight-loss Supplement Result in Weight and Fat Loss in 120 Men and Women. American Journal of Health Promotion, 23 (2), 121-129.